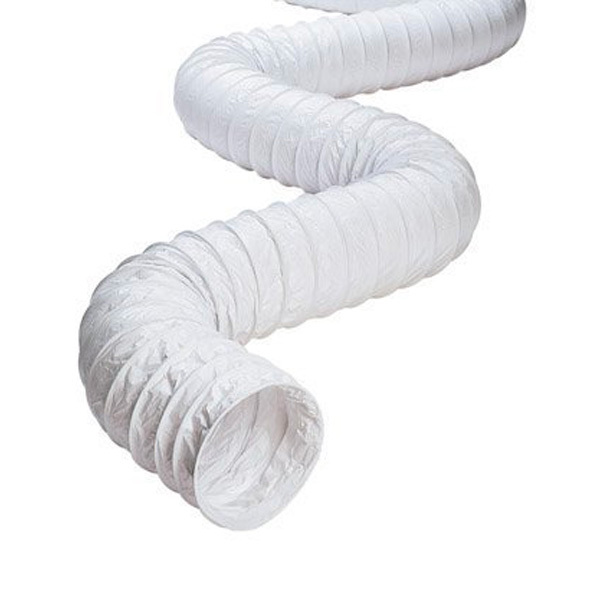 The flexible white vinyl hose is appropriate for most venting uses. Attaches easily to dryer vents or bath fans. To be used in temperature ranges from 0 to 160 F.
Roof installed vent kit is ideal for utility rooms, bathrooms, or any area where air venting is vital. Includes a black plastic dampered roof cap with flashing, 4" x 8' flexible vinyl hose, three adjustable clamps, and 1-3" adapter.